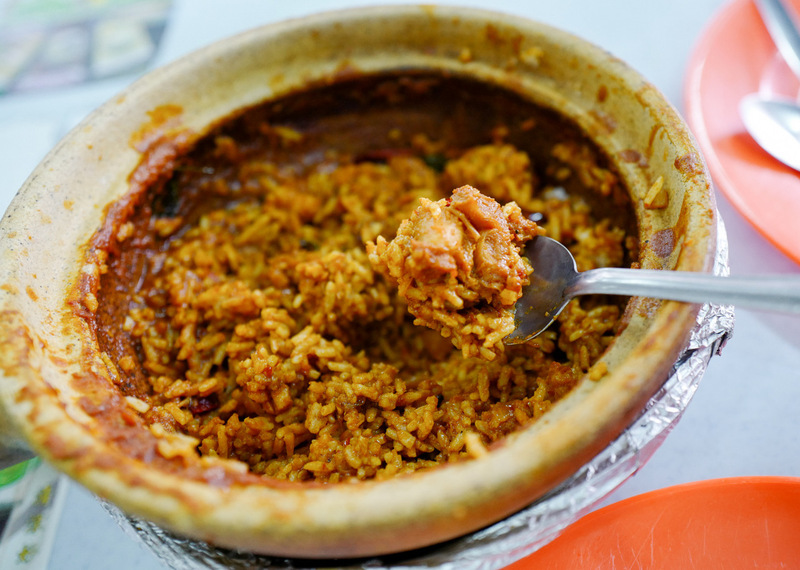 Monitor lizard claypot curry rice? 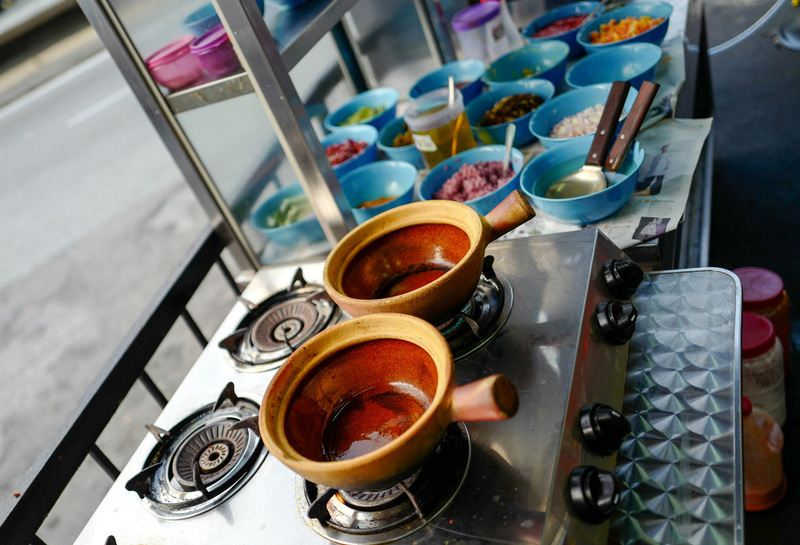 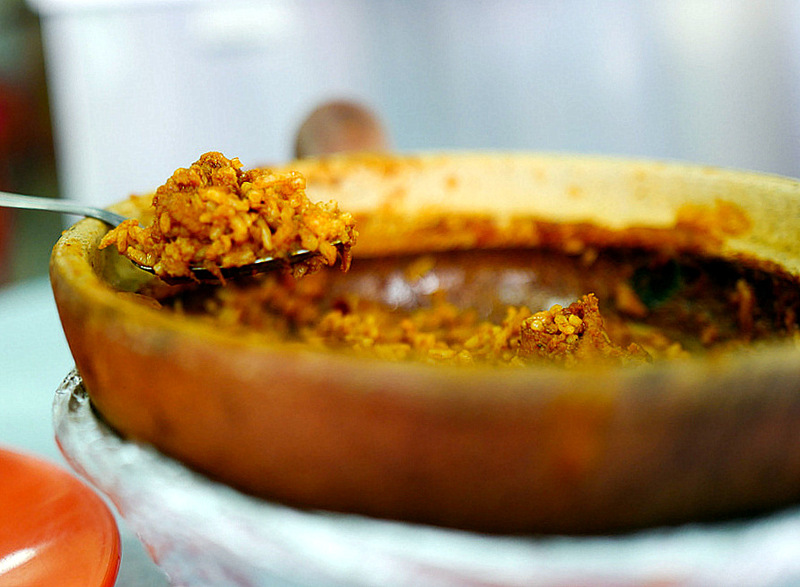 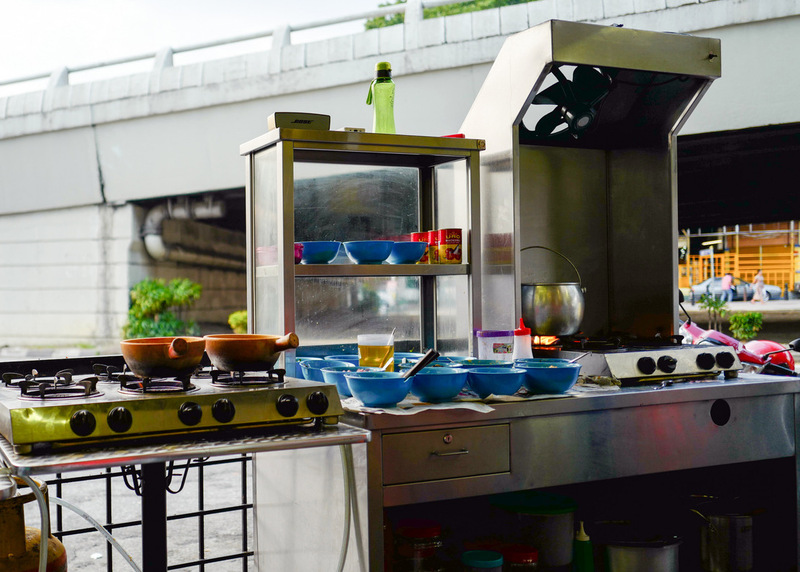 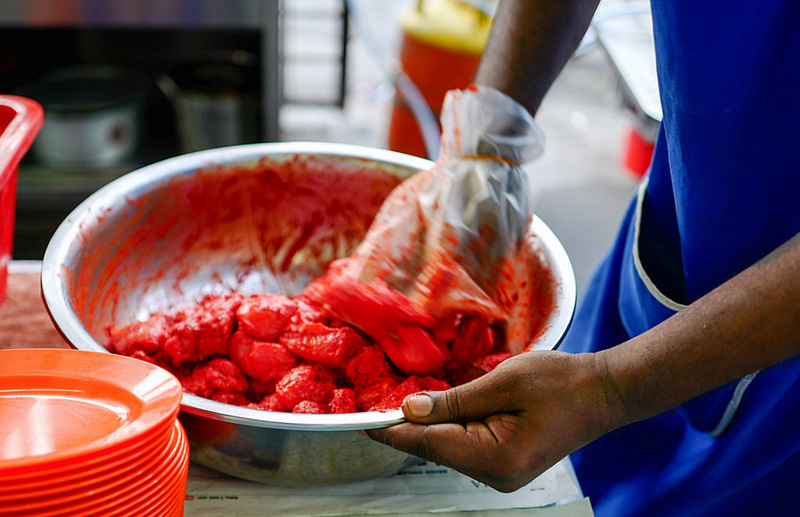 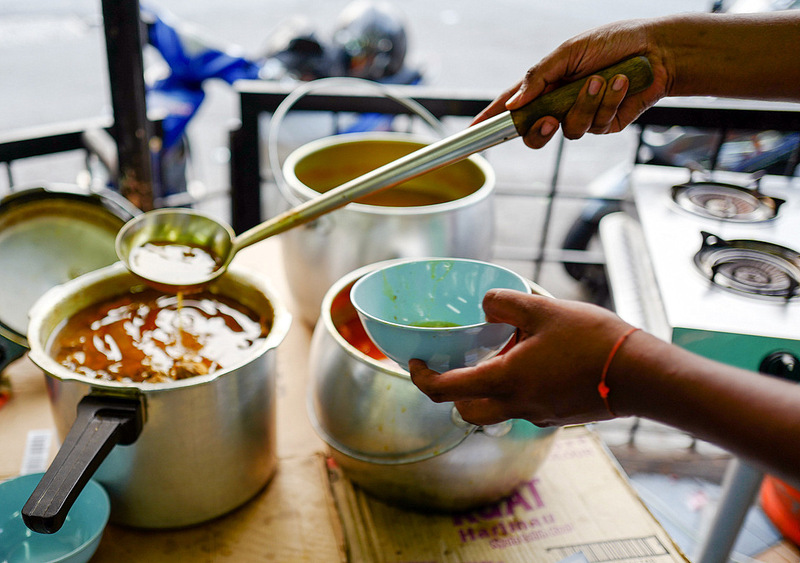 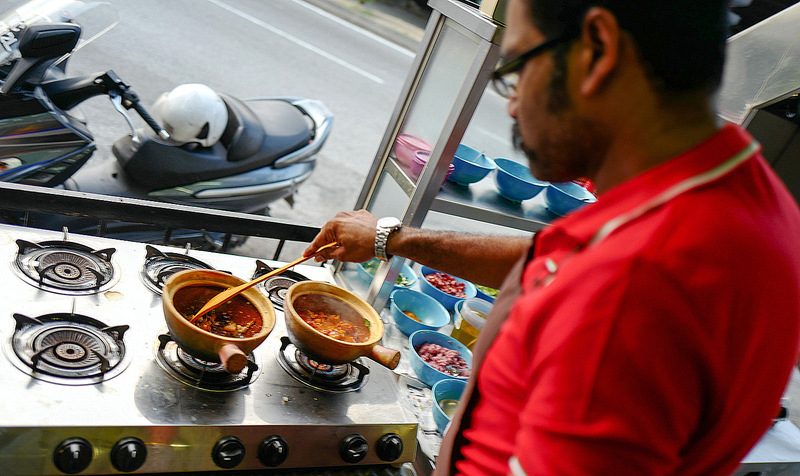 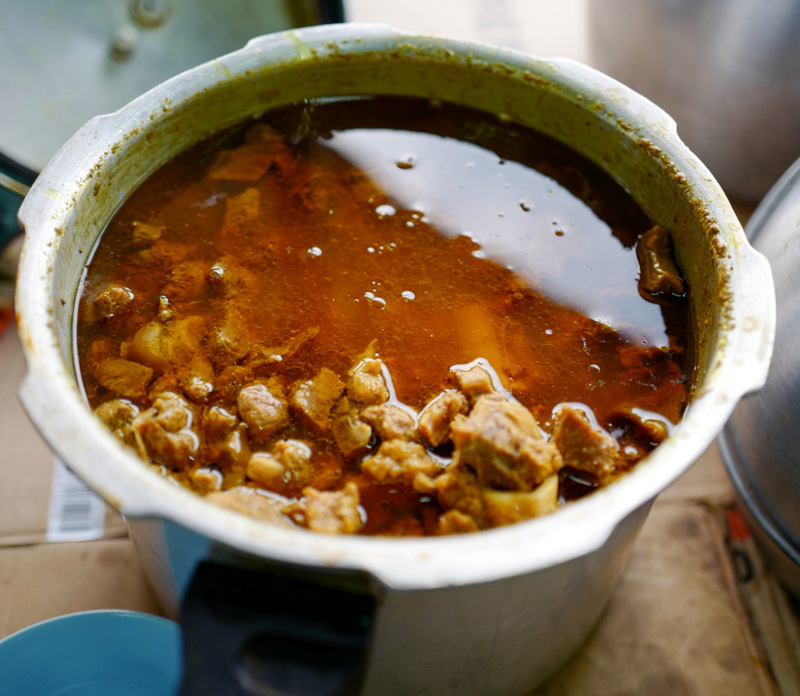 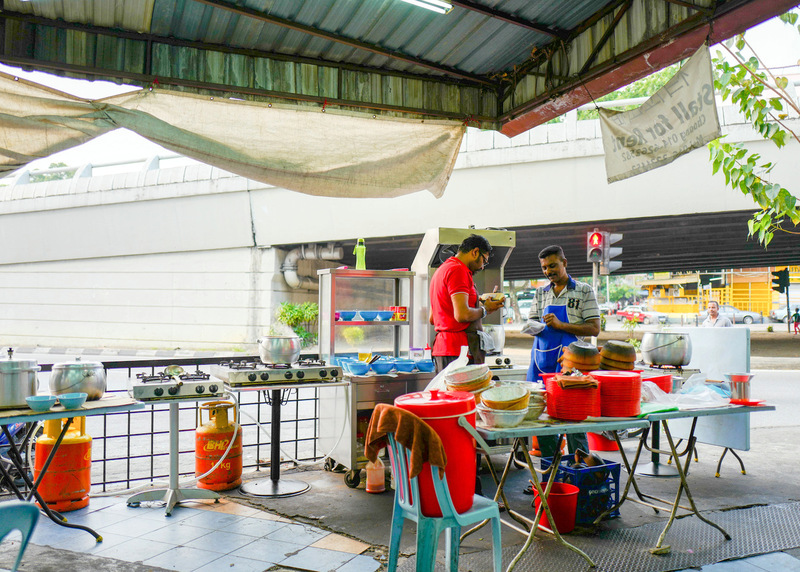 This friendly new Indian food stall in Pudu promises curries surprisingly cooked to order, meticulously mixed with rice & meat in claypots for fresh, fragrant & fiery soul food, in a homage to the home recipes of matriarchs who loved feeding their families. 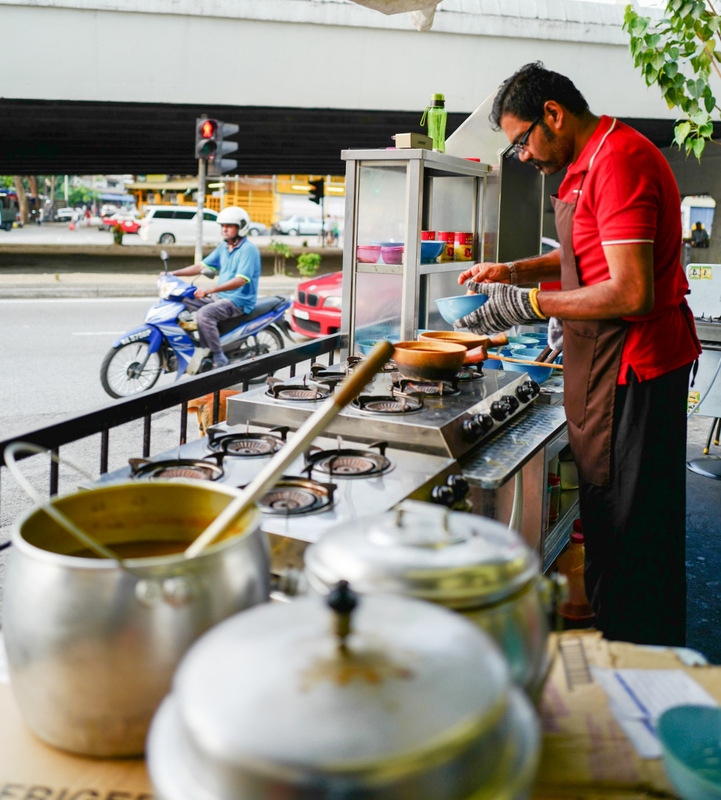 Choose from monitor lizard (RM15; wild-caught from the jungles near Sitiawan in Perak), mutton (RM12), wild boar (RM10) or chicken (RM8); Satti Sorru's friendly team will then prepare your individual curry in a claypot with creamy masala pastes, tomatoes, onions, coriander leaves & more, adding in the rice & meat before serving. 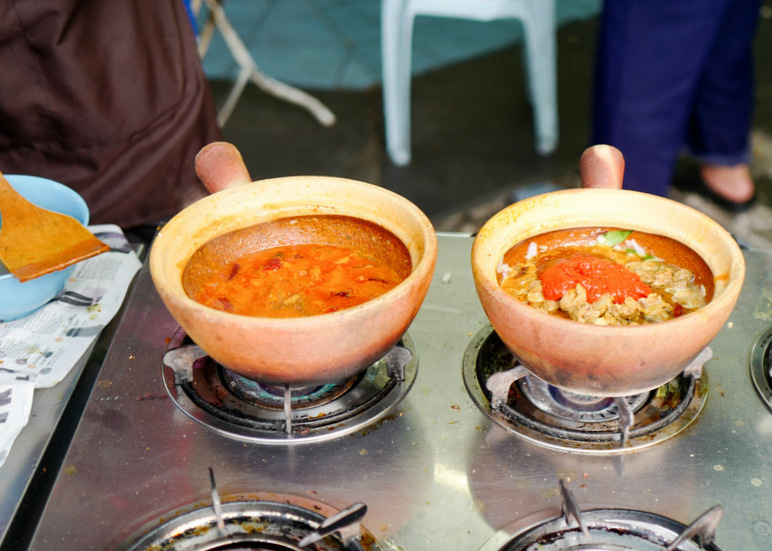 You can select your spice level; medium may be sufficiently fiery for many customers. 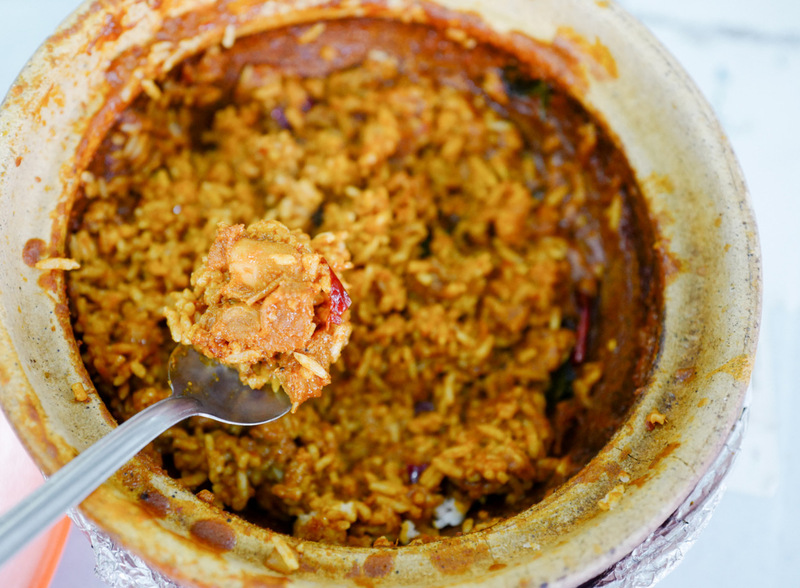 The result is a deep-flavoured, rich-textured concoction, moist & meaty, hot & hearty - a treat for fans of Indian fare that's painstakingly prepared with no shortcuts. 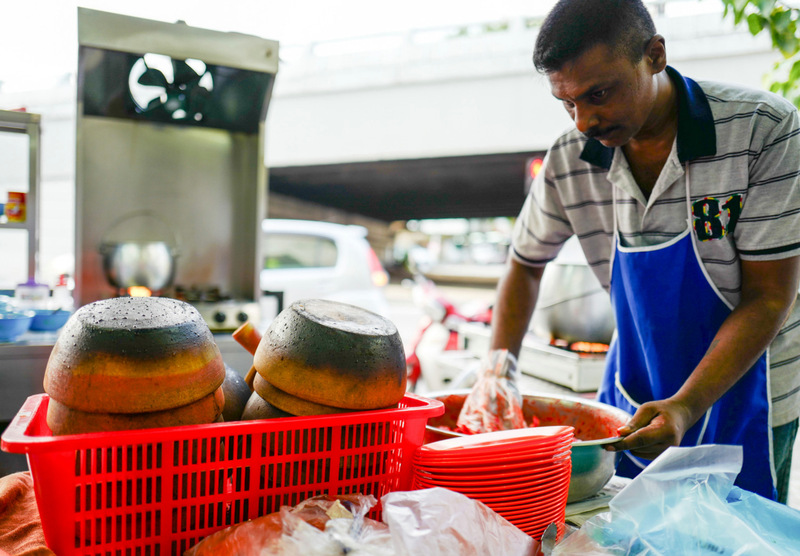 And for the curious, the morsels of monitor lizard flesh prove very bony but extremely tender, smooth & mild-tasting - certainly not unappealing at all. 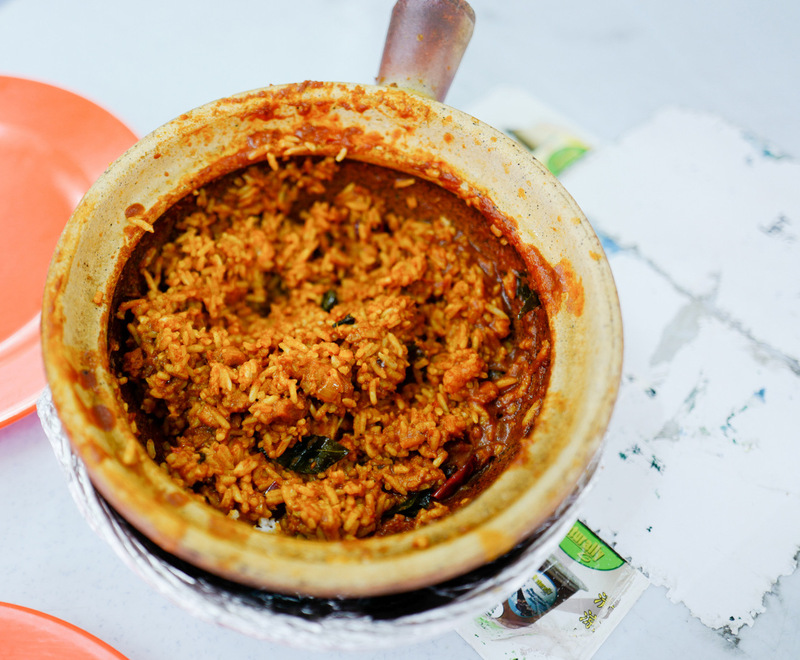 Ordering was a breeze on a recent Friday evening, with our claypot cooked & served within half an hour - not curry in a hurry, but worth the wait.